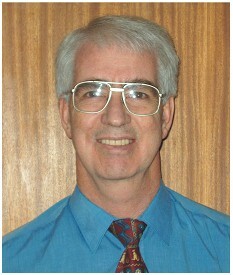 Daniel Francois Malherbe (Danie) Strauss taught philosophy at Redeemer University College where he also served as director of the Dooyeweerd Centre. He is general editor of the Collected Works of Dooyeweerd. Both before and after his Redeemer period he taught philosophy at University of the Free State (Bloemfontein, South Africa). 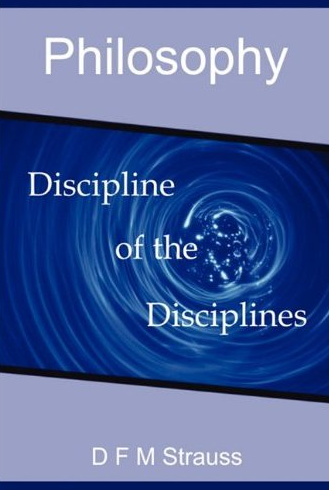 D.F.M.Strauss, Philosophy as The Discipline of The Disciplines. This new work by Danie Strauss must now be called The Definitive Statement regarding The Philosophy of The Cosmonomic Idea. In effect, it is the New Critique for the twenty first century in that it not only covers the entire range of the fundamental ideas developed by Herman Dooyeweerd more than seventy years ago, but it does so entirely within the spirit of Dooyeweerd¿s work. Strauss systematically develops a number of themes that are troublesome in Dooyeweerd¿s formulation and manages to provide us with significant resolutions. Perhaps the single most important contribution to theoretical analysis as such, is his elaboration of the relationship between Conceptual Knowledge and Concept Transcending Knowledge (Idea Knowledge). This relationship is central to all forms of discrimination and is pervasively evident in the cultural traditions of both the East and the West. This work will be the starting point for systematically coherent analysis in all disciplines as Strauss convincingly makes his case that Philosophy is the Discipline of The Disciplines. Although the text contained in the article files are fairly close to that finally appeared, the final printed version of each one of them may include further last minute editorial changes. In most articles there are some elementary explanatory analyses of basic systematic distinctions from the reformational legacy in philosophy. This provides the opportunity to develop systematic insights (sometimes fairly implicitly) and attempt to make them fruitful for the problems discussed in the article under consideration. Number-concept and number-idea, Philosophia Reformata, 3rd & 4th Quarter (pp.55-78). Number-concept and number-idea (continued), Philosophia Reformata, 1st & 2nd Quarter. (pp.155-183). The central religious community of mankind in the Philosophy of the Cosmonomic Idea, Philosophia Reformata, 2de kw. (pp.58-67). The elementary sociological concept unity and multiplicity, Journal for Christian Scholarship, Year 13 (pp.79-83). The elementary concepts lingual field and analytical field the distinction between word and concept, Journal for Christian Scholarship, Year 13 (pp.147-151). An analysis of SA Calvinist Theology The historical Roots, Journal of Theology for Southern Africa, June (pp.29-34). Philosophy and Sociology, Philosophia Reformata (Year 44, pp.150-182). Some Basic Semiotic Categories (co-authors: D J van den Berg & A.J. Weideman), Anakainosis, Toronto, Vol.I, nr.4 (pp.2-7). Consensus and conflict analysed in terms of a few elementary basic concepts of sociology, Journal for Christian Scholarship, Year 16, 1st & 2nd Quarter (pp.59-63). Are the Natural Sciences Free from Philosophical Presuppositions? Philosophia Reformata, Year 46, nr.1 (pp.1-13). Constancy and dynamics, Anakainosis 3 (4) March pp14-17. The Place and Meaning of Kant's Critique of Pure Reason (1781) in the legacy of Western philosophy, South African Journal of Philosophy, 1982, (pp.131-147). Historicism, Joernaal vir Eietydse Geskiedenis (Journal for Contemporary History), Vol.7, No.2 (pp.3146). The Nature of Philosophy, Journal for Christian Scholarship, Year 18, 1st & 2nd Quarter (pp.40-55). Individuality and Universality, in: Reformational Philosophy, Reformational Forum, Vol. I, No.1, 1983 (pp.23-36). Dooyeweerd and Modern Mathematics, in: Reformational Forum, 1983, nr.2 (pp.5-17). An Introduction to a Philosophy of the Infinite, in: Journal for Christian Scholarship , 1983, 3rd & 4th Quarter (pp.1-37). An Analysis of the Structure of Analysis (The Gegenstand-relation in discussion), in: Philosophia Reformata, 1984, Nr.1 (pp.35-56). Response to Hart's view on the Gegenstand-relation, in: Reformational Forum, Vol.III, No.1, 1985 (pp.7-15). Authentic Existence and Contingent Experience : Some underlying problems in Rauche's quest for Truth and Reality, bydrae tot die 'Festshcrift' aan prof G.A. Rauche (University of Durband Westville), Editor dr. M. Singh, Durban 1986 (pp.55-77). Kant and Wittgenstein, in: South African Journal of Philosophy, Vol.7 No.3, August 1988 (pp.154-160). Tools and tool-making: An intersection between human and animal behaviour, South African Journal of Ethnology, July [11(3)] 1988 (pp.89-92). Continuity and discontinuity: The Western Philosophical Legacy within Reformational Philosophy, in: INTERIM, Geleentheidspublikasie van die Interdissiplin re Navorsingseenheid vir Vakfilosofiese Studie, UFS, No.9, Winter 1988 (pp.1-29). The Nature of Mathematics and its supposed arithmetization, in: Proceedings, Ninth National Congress on Mathematics Education, Mathematical Association of South Africa 1988 (pp.10-31). Are There Basic Issues in Philosophy? in: Issues, Number 5, September 1988, Published by the ACS, Wellington, Australia (pp.12-21). A Systematic Appreciation of Hart's Ontology, in: Journal for Christian Scholarship, 1st & 2nd Quarter 1989 (pp.103-120). Humankind, nature and the New Journalism: a return to the mythopoeic, in: Ecquid Novi, Tydskrif vir Joernalistiek in Suider-Afrika, Vol.11, 1990 (pp.97-100). The Uniqueness of Number and Space and the relation between Realism and Nominalism, in: Journal for Christian Scholarship, 1st & 2nd Quarter 1990 (pp.104-125). The Ontological Status of the principle of the excluded middle, in: Philosophia Mathematica II, Vol.6, n.1 (pp.73-90). Metaphor and Paradigm, in: Journal for Christian Scholarship, 1st Quarter 1992 (pp.124-136). The human sciences in a changing society, response to E. Motala, in: Acta Varia, 1992(3) (pp.106-114). Nominalism: a major force moulding our modern age, in: Journal for Christian Scholarship, 2nd Quarter 1993 (pp.104-127). Mathematical paradigms, in: Journal for Christian Scholarship, 3rd & 4th Quarter 1994 (pp.113-167). Thought and Language: on the line of demarcation between animal and human abilities, in: South African Journal of Philosophy, Vol.13, Nr.4 (pp.175-182). The three foundational crises in mathematics, in: Journal for Christian Scholarship , 1st & 2nd Quarter 1995 (pp.12-22). The Significance of Dooyeweerd's Philosophy for the Modern Natural Sciences, in: Christian Philosophy at the Close of the Twentieth Century, Assessment and Perspective, eds. S. Griffioen & Balk, M., Publisher Kok Kampen, 1995 (ISBN 90-242-2305-9), (pp.127-138). Rationalism, historicism and pan-`interpretationism', in Proceedings of the 1992 Conference, Pascal Centre: Publisher: University Press of America, Facets of Faith and Science, Volume 2, The Role of Beliefs in Mathematics and the Natural Sciences, edited by Jitse M. van der Meer (pp.99-122). A Historical Analysis of the Role of Beliefs in the Three Foundational Crises in Mathematics, in Proceedings van die 1992 Conference on Philosophy of Science and the Foundations of the Sciences Pascal Centre: Publisher: University Press of America, Facets of Faith and Science, Volume 2, The Role of Beliefs in Mathematics and the Natural Sciences, edited by Jitse M. van der Meer (pp.217-230). Primitive Meaning in Mathematics: The Interaction among Commitment, Theoretical Worldview and Axiomatic Set Theory, in Proceedings van die 1992 Konferensie oor wetenskapsteoretiese en vakfilosofiese grondslae Pascal Centre: Publisher: University Press of America, Facets of Faith and Science, Volume 2, The Role of Beliefs in Mathematics and the Natural Sciences, edited by Jitse M. van der Meer (pp.231-256). Biotic analogies a threat to scholarly reflection? Acta Academica 28(3): 29-5. Leslie Newbegin and the Tradition of Reformational Philosophy, in: Journal for Christian Scholarship, 1st & 2nd Quarter 1997 (pp.122-130). Capitalism and Economic Theory in social philosophic perspective, in: Journal for Christian Scholarship, 1st & 2nd Quarter 1997 (pp.85-106). Mathematics and the Real World, Proceedings, Regional Congress on Mathematics Education, UFS, June 5-6, 1988 (pp.1-20). "All life is sacred": the holiness of callings in public spheres of service Ned geref Teologiese Tydskrif (Dutch Reformed Theological Journal), Part XXXIX Number 3, September 1998 (pp.198-207). Ontological considerations in the study of Logic Koers, Year/Vol.63, No.4, 1998 (pp.377-398). Atomism and Holism with special reference to a key issue in social-political philosophy, in: South African Journal of Philosophy, 1999, 18(1) (pp.74-89). The Viability of Kuyper's idea of Christian Scholarship, in: Journal for Christian Scholarship , 1ste en 2nd Quarter 1999 (pp.125-139). Greek Ontology and Biblical Cosmology: an unbridgeable Gap (co-author: Bram Bos), in: Journal for Christian Scholarship, September 1999 (pp.137-163). Plato on justice as virtue a safeguard against a static metaphysics of being and a postmodern meaning-relativism? in: Tydskrif vir Regswetenskap, 1999, pp.224-237. Mathematics and the Real World, in: Koers, Year/Vol.65(1) April, pp.95-121. Kant and modern physics. The synthetic a priori and the distinction between modal function and entity, in: South African Journal of Philosophy, 2000, pp.26-40. Reductionism in Mathematics: Philosophical Reflections, in: Journal for Christian Scholarship, Year 37, 1ste en 2nd Quarter, 2001, pp.1-14. Does it make sense to distinguish between the natural sciences and the humanities? in: Journal for Christian Scholarship, Year 37, 1ste en 2nd Quarter, 2001, pp.25-36. Hidden Ontological assumptions of Hermeneutics, in: Ned Geref Teologiese Tydskrif (Dutch Reformed Theological Journal), Deel 42, Nrs 1 &2 March & June, 2001, pp.71-88. Biblical Authority and the Foundation of the Disciplines The Open Book and Scholarship, in: Journal for Christian Scholarship, Year 37, 1ste en 2nd Quarter, 2001, pp.71-88. The Effect of Ultimate Commitments on the Content of the Natural Sciences with special Reference to Biology as a Discipline, in: Journal for Christian Scholarship, Year 37, 3de en 4th Quarter, 2001, pp.89-105. Historical and systematic considerations relevant to an assessment of the position of the university. Journal for Christian Scholarship 2002;38 (Special Edition):1-12. Reason: Its Kaleidoscopic ideological interface. Journal for Christian Scholarship 2002;38 (Special Edition):71-84. Is it possible to do Theology without Philosophical Presuppositions. Acta Theologica 2002;22;146-164. Philosophical reflections on continuity. Acta Academica 2002;34(3):1-32. The opposition of 'facts' and 'values'. Journal for Christian Scholarship 2002;38 (1&2):1-12. Is it meaningful to juxtapose 'individual' and 'society'? Society in Transition 2002; 33 (1):96-115. The scope and limitations of Von Bertalanffy's systems theory. South African Journal of Philosophy 2002;21(3):163-179. Understanding in the Humanities: Gadamer's thought at the intersection of rationality, historicity, and linguistically. South African Journal of Philosophy 2002;4;291-305. The contemporary challenge to Christian scholarship. Journal for Christian Scholarship 2002;38(3&4):217-231. Frege's Attack on 'Abstraction' and his Defense of the Applicability of Arithmetic (as Part of Logic). South African Journal of Philosophy, 2003;22(1):63-80. How 'rational' is 'rationality'? South African Journal of Philosophy, 2003;22(3):63-80. The Achilles' heel of positivism. Koers, 2003;68(2&3):255-278. Is a Christian Mathematics possible? Tydskrif vir Christelike Wetenskap/Journal for Christian Scholarship, 2003(3&4):31-49. The 'Copernican turn' of biology in the 20th Century. Acta Academica, 2003:35(3):49-76. Transcending the impasse of individualism and universalism in sociological theory, Society in Transition. 2004, 35(1), pp.165-182. Anthropology at the intersection of Medicine, Psychology and Culture, Journal for Christian Scholarship. Nr.1 & 2, 2004, pp.1-24. The Distinction between Church and State: the Ideological Roots of a Category-Mistake, NGTT June 2004: pp.99-117. Christianity and Islam: the development of modern science and the genesis of the modern (just) state. Acta Theologica. Volume 24, No.1, June 2004, pp.168-185. Community and Communication, Communitas, Volume 9 (pp.47-62). The context and after-effects of the organicistic orientation of early 19th century Romanticism. In: Journal for Christian Scholarship, Year 40, 3rd Quarter (pp.57-71). Intellectual influences upon the reformational philosophy of Dooyeweerd. In: Philosophia Reformata, Volume 69 (2004), No.2 (pp.151-181). Symbolic Interactionism in Social Theory assessed in the light of the Elementary Basic Concepts of Sociology. Journal for Christian Scholarship, 41(3&4):33-50. The best known but least understood part of Dooyeweerd's philosophy. Journal for Christian Scholarship 42 (1 & 2):61-80). Discerning similarities: concept and word at the intersection of analogy and metaphor. Acta Academica. 2005 37(2):1-20. Accounting for Primitive Terms in Mathematics. Koers 70(3):515-534. The Concept of Number: Multiplicity and Succession between Cardinality and Ordinality. South African Journal for Philosophy. 25(1)27-47. The ontic interconnectedness and dependence of language and communicative actions, In: Communicatio 32(1):101-118. Beyond the opposition of individual and society, Part I, Acknowledging the constitutive social function of being an individual and 'de-totalizing' the idea of 'society', South African Review of Sociology, 37, No.2. The mixed legacy underlying Rawls's Theory of justice. Journal for Juridical Science. 31(1):61-79. The Rise of the Modern (Idea of the) State. Politikon (August) 33(2):183-195. The possibilities of the human intellect and the limitations of computing devices. New Generations Sciences. Vol.4, No.2 . Infinity and Continuity: The mutual dependence and distinctness of multiplicity and wholeness. Paper presented at the Free University of Brussels October 15, 2006. 'Appropriating the legacy of Dooyeweerd and Vollenhoven' Journal for Christian Scholarship 42 (6): 23-56. Scholarly communication Communicatio Vol 34 (1) 2008:113-129. "God in himself" and "God as revealed to us": the impact of the substance concept Acta Theologica Vol 30 (1) 2010:123-144.